The prices of Bitcoin fell drastically on Thursday after the South Korean Financial Services Commission promised to prohibit the cryptocurrency exchanges from issuing the trading accounts to new users which would take effect in January 2018. According to the commission, much of the cryptocurrency trading was being carried out anonymously and it’s high time they limit the speculation of the digital currency trading in the country. South Korea, which is one of the leading markets globally for bitcoin, stated that it was planning a ban on the opening of the anonymous cryptocurrency accounts and a new legislative to enable the regulators to close down any coin exchanges if there is need to do so. The dip in the cryptocurrency prices was further illustrated by the bitcoin’s volatility. 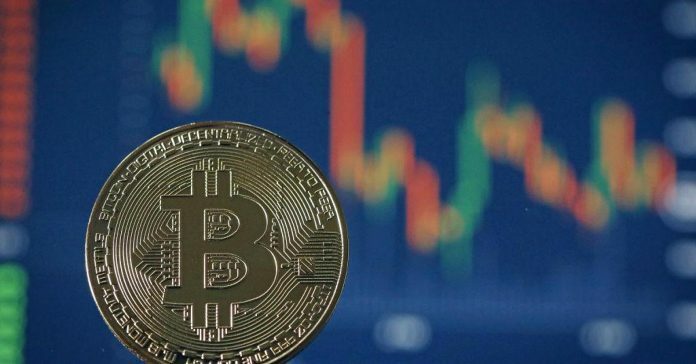 According to the Coin desk’s bitcoin price index, the digital currency hit a low mark of $13,611.86 down about 11% when bitcoin traded near $14,000 about 25% below its high record it attained at the beginning of the month. The South Korean government further stated that it would closely monitor the financial institutions to control the flow of funds into the cryptocurrencies exchanges where necessary. In the recent months, bitcoin surged in value by more than 900%, becoming the leading digital currency in the market amid a few warnings of a pending market crash in the near future. The top 10 most-traded cryptocurrencies mostly imitate the bitcoin’s price trajectory hence if the prices of the bitcoin fail, there’s a likely that the value of other cryptocurrencies would also be affected. According to the CryptoCompare, the South Korean traders had grown steadily for the last 10 month accounting for more than 12% of the total bitcoin trading volume. The high demand from the South Korean investors has further contributed to the gains in other cryptocurrencies including the Ethereum, Ripple, and Litecoin. Bitcoin has proved durable to the regulators so far, for instance, the crack down on the digital currencies in China in September saw the bitcoin prices plunging more than $2,000 but it recovered drastically afterwards.